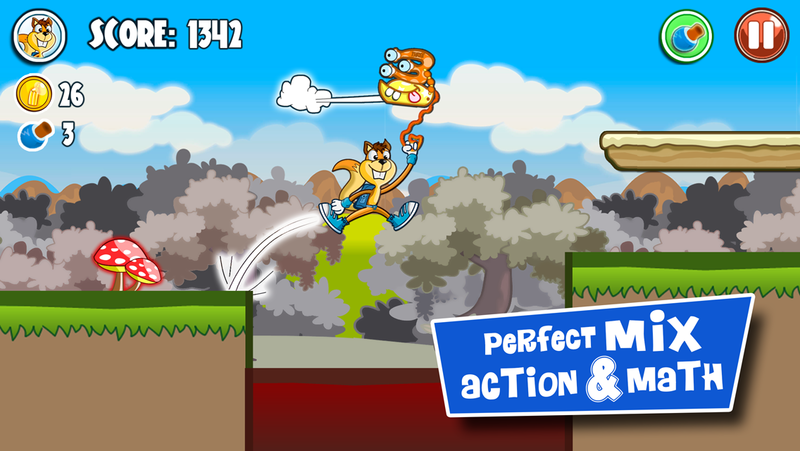 Tod the Squirrel's spaceship has crashed in the planet of the Monster Numbers!! She will only be able to get out of there after collecting all its parts. Some of the natives have been enchanted and will try to stop Tod's quest. Fortunately, Tod will count on her skill and the help of some friendly Monster Numbers, such as Five, Two, Three and Seven. 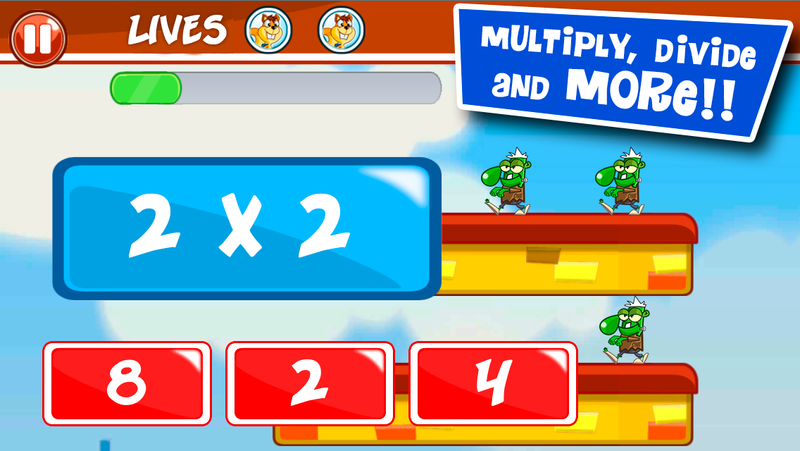 Monster Numbers is a game that puts together action and math exercises. 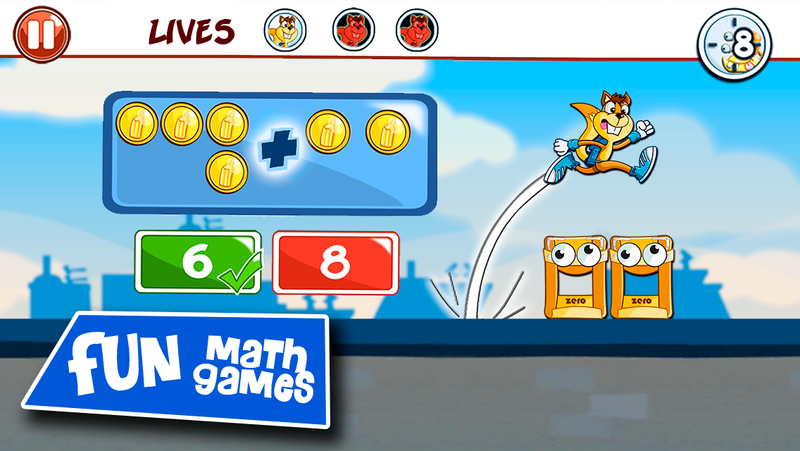 In one level, kids get fun jumping among platforms and avoiding the Monster Numbers and their traps; in the next one, they perform additions, subtractions, series, multiplications, divisions and counting exercises to unlock new worlds.. It has been designed for children aged 4 to 14. 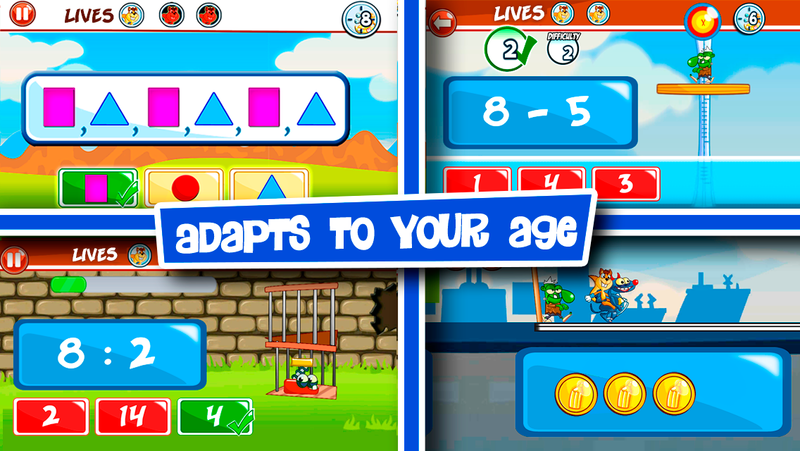 Starting the game, the age of the child is asked in order to adjust difficulty level. 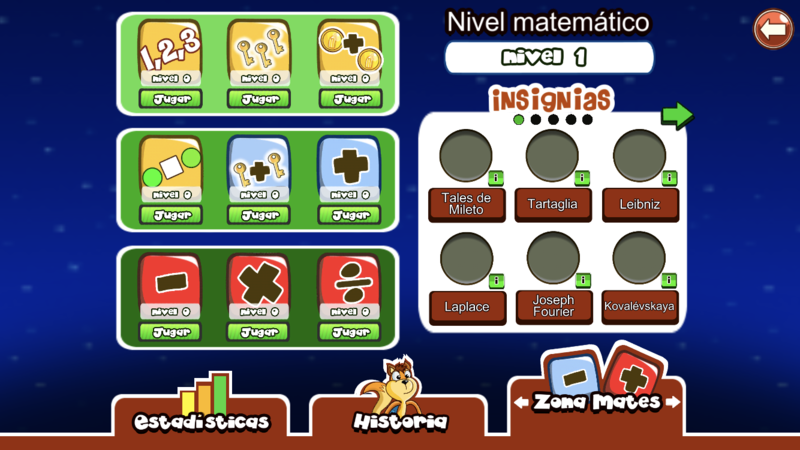 A mathematical area exists, where all the exercises you can find in the game can be practiced..